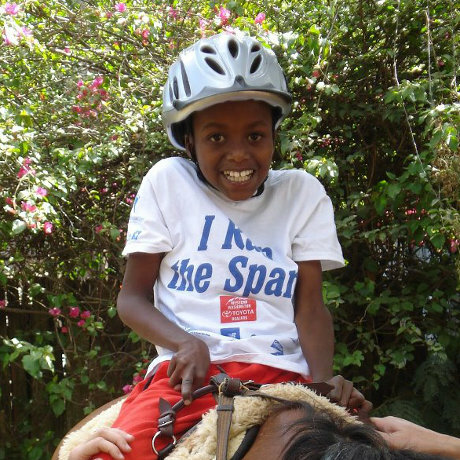 The Riding for the Disabled Association (RDA) Kenya is a registered charity. 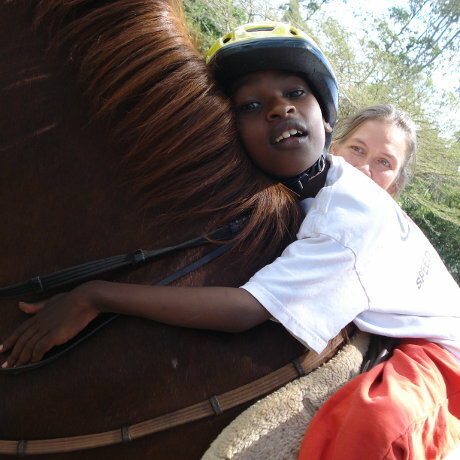 We use therapeutic horse riding to provide therapy, achievement and enjoyment to people with disabilities in Kenya. 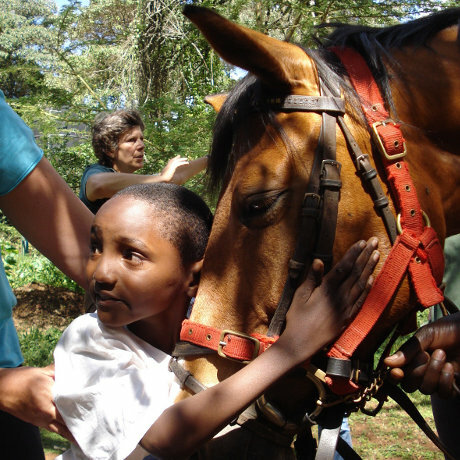 RDA Kenya is reliant on charitable donations and fund raising activities, and is run entirely by volunteers. All proceeds generated by the sale of our crafts will go directly to helping us make a difference to the lives of some of Kenya’s most vulnerable people. The groups meet in Langata, Nairobi on Wednesdays and Thursdays between 1.00 and 3.00pm during school term time. We also run an RDA training programme to train others to set up and run new groups in other parts of Kenya as well as neighbouring countries such as Tanzania. What is Riding for the Disabled? Therapeutic horse riding is a form of therapy in which interaction with horses is used to enhance physical, emotional, social, cognitive and behavioural skills for people with disabilities. A horse's rhythmic, repetitive movements work to improve muscle tone, balance, posture, coordination and cognitive skills. Our team of volunteers assist disabled children — many of whom have no access to any form of therapy — to ride and play games on horeseback in a safe and happy environment. In addition to the physical benefits, riders gain a great sense of achievement, boost to their self esteem, and, perhaps most importantly, a huge degree of personal happiness from this therapeutic programme. Therapeutic riding results in physical improvements including better balance and coordination accompanied by greater muscular strength. Hand in hand with the physical improvements come a wide range of significant improvements in other areas, for example the ability to listen and follow instructions, to concentrate and communicate, and for some, even the ability to sleep at night. The improvement in all these areas follows through into the activities of every day life. This can lead to a far greater degree of independence for the individual, but perhaps most important of all an ability to contribute to and therefore be accepted by the community in which they live. You can see more and follow us on our Facebook page! 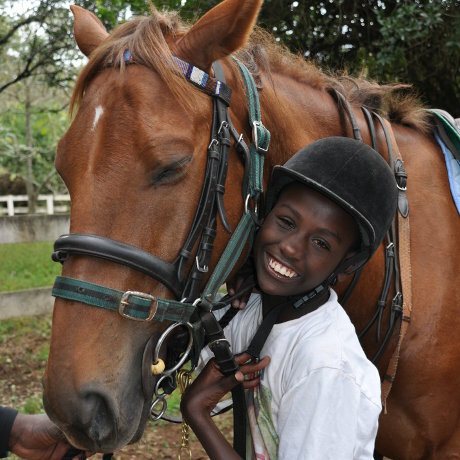 RDA Kenya is run entirely by volunteers, and we would love to have your help! If you would like to get involved as a side walker, or even just come and see what we do, please get in touch. Please read the information sheet for side walkers.